I know I’m almost a week late with the Super Bowl post, but if you’re a regular around these parts then you know I moved last week. It’s been a hectic week and a half since the move, It honestly took us about two weeks to get all the way moved in. We started with the small stuff, then last week we had the moving truck to take the large items and that night we spent our first night in our new house. Then for about another week we were back and forth getting the rest of the small stuff, the storage items in the garage and cleaning up the old place. For us it was easier that way since my husband works so much and I’m so busy with the little ones. It was a lot less stressful than packing up our entire life and moving it all in 1-2 days. Now it goes without saying that anytime there is a football game, a Rose Bowl, Pro Bowl or Super Bowl we will be tuned in. I have 4 sons and a football fanatic for a husband, and both my older boys and my husband also played football all through their youth. So thankfully we were able to get our TV installed the day after our move, just in time for the Super Bowl! This was, of course, a priority! Big G was off that Sunday, RiRi had her best friend spend the night, and my oldest came out for the weekend to visit with his girlfriend. So we had a fun Super Bowl party in our new house! Of course, even though we had literally JUST moved in, I had to go all out with the Super Bowl food! Now since we knew when we were moving, I hadn’t gone grocery shopping in a bit. I just didn’t want the hassle of moving all that food. So I had to go to the store and stock up on some items. I decided to go to Walmart and begin planning the Super Bowl breakfast first. Now, whenever I go into a Super Walmart I automatically go in through the food side. Of course, I end up in the bakery section with all the goodies! 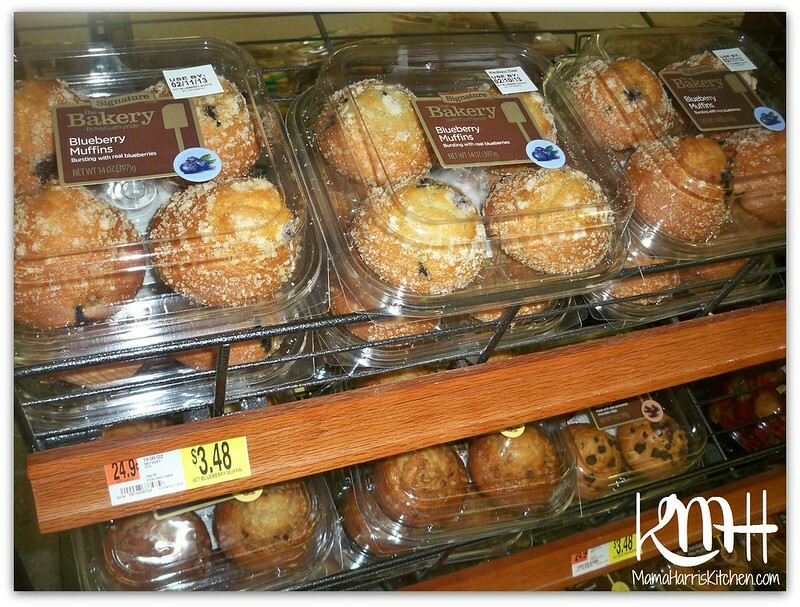 I spotted these delicious looking The Bakery at Walmart Blueberry Muffins and decided to pick them up! Those bright berries and streusel topping were just calling out to me! While I was in the bakery section, one of the workers asked me if I needed any help. I was just overwhelmed with goodies, and didn’t know where to start! He informed me there had actually been a display they had up, where they had Starbucks coffee on display with the muffins and information about the coffee flavor notes and what foods are complimentary. They had just taken the display down to make room for Valentine’s Day specials, but he informed me the breakfast blend Starbucks had complimentary flavor notes with these wonderful muffins. 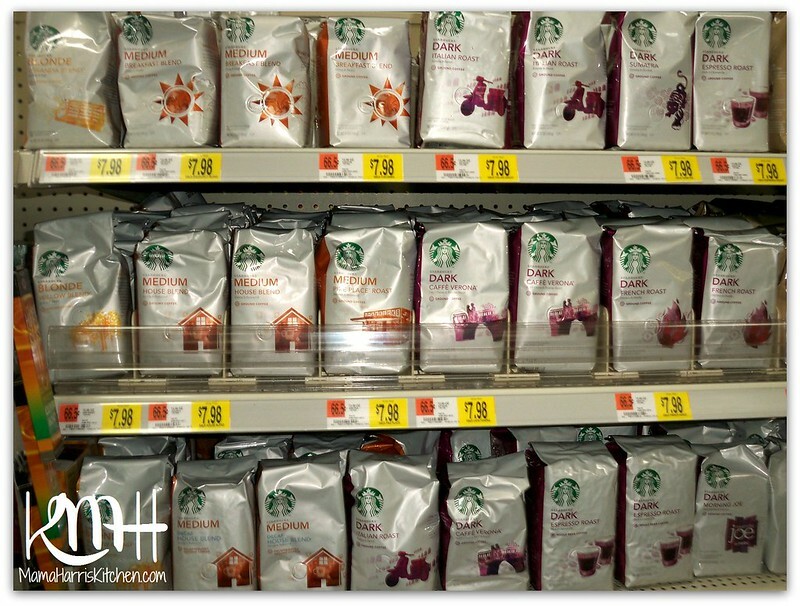 I’m an avid Starbucks fan when I’m out and about and need a pick-me-up, so I decided to head over to the coffee section and check it out! Now although I’m bummed that I didn’t get to see the display and read all the information about it, when I went to the coffee aisle they were fully stocked with all the wonderful flavors and roasts. Score! I decided to go with the Starbucks Medium Breakfast Blend, since the complimentary notes are nuts, apples, blueberries and lemon. I thought that sounded like it would pair nicely with these amazing muffins. Typically, I do brew my own coffee at home. It’s honestly one of my favorite times of the day. 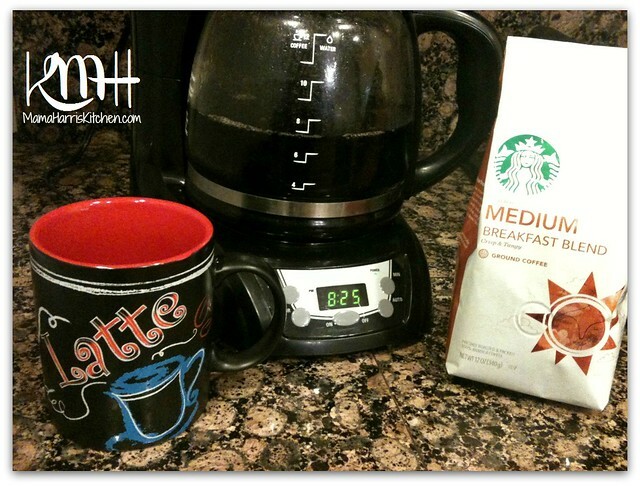 I’ve tried other various types of coffee and some my husband is just not too fond of. He’s not as avid a coffee drinker as I am, but when he does drink coffee he likes it strong. 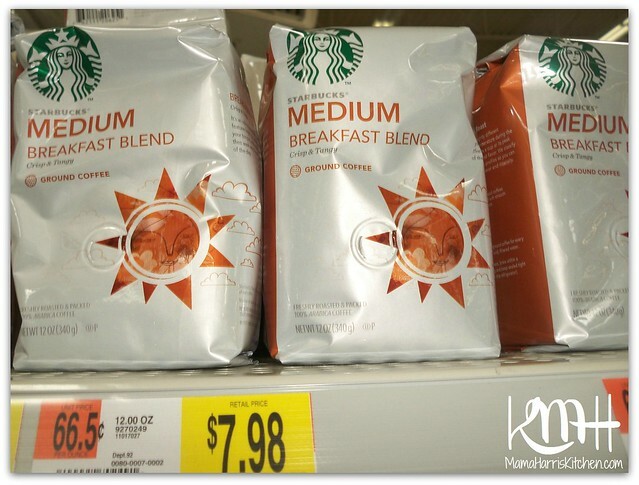 A lot of other brands coffee tends to be a bit weaker. So I figured this would be a good choice for us all! I couldn’t wait to get home and get into my new kitchen! I couldn’t wait to get home and get started! I made a big pot of coffee for us all, and as soon as it started brewing the house was filled with warm aromas and I could almost taste the berry notes! Now whenever I’m hosting a get together where we’re watching football, I always think finger foods are best. So I planned it that way for all the food I was making, all the way down to breakfast! I decided to make french toast sticks, and instead of using a little vanilla in my egg mixture I switched it up with some almond extract. 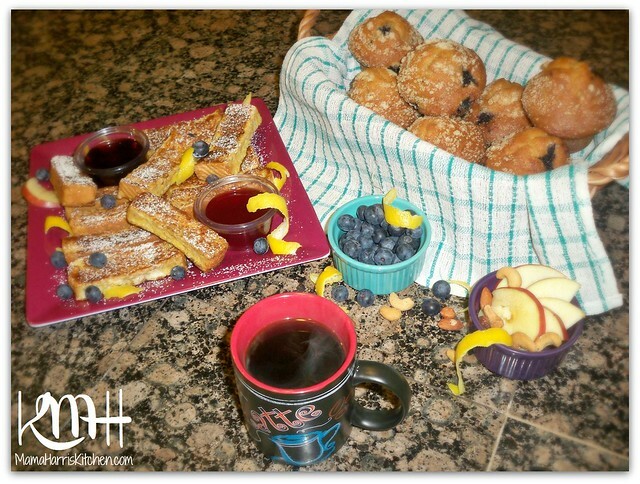 I figured that would complement the hint of nuts in the coffee and would compliment the blueberry muffins as well. Of course I served my breakfast with some fresh blueberries and sliced apples. Everything paired so nicely together! Since this was my first time trying this particular Starbucks flavor, I paid extra attention when I tasted my coffee. You can definitely taste the tang of lemons and blueberries with the crispness of the apples, with the slight nutty taste. 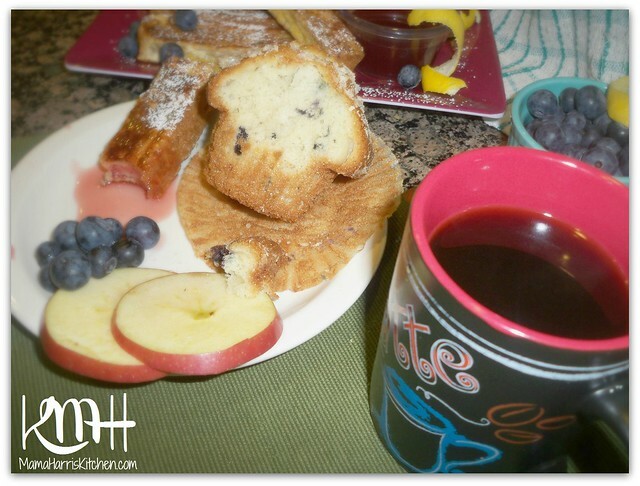 It was delicious and eating it with the blueberry muffins definitely enhanced the flavors. The muffins were amazing! Walmart’s bakery always outdoes itself. The baked good always taste homemade and fresh from the oven, and it looked as thought they picked the biggest and best blueberries for each and every muffin. These went quick! 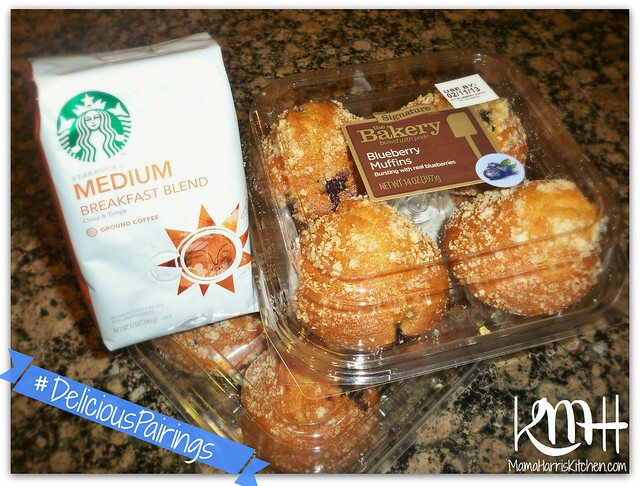 Everyone enjoyed the pairing of the Walmart Blueberry Muffins with the Starbucks Breakfast Blend. They were amazed when I shared with them about the complimentary notes. We look forward to pairing some other flavors together as well. It was fun trying them out together and seeing which of us had the most sensitive palate that could taste all of the flavors together! For the remainder of our Super Bowl food, I also made my chips and Guacamole dip as well as a spicy cheese dip. We had a cracker mix for snacks and I made a veggie tray. I also made Jalapeno Poppers, Potato Skins, and my Thai dipping sauce and Coconut Chicken into strips and on skewers. Then for dessert I made a Cheesecake with strawberry topping per my oldest’s request. It was a wonderful day to unwind and relax with my family. We had a great time (even though the 49ers lost! Wahhh!). It was nice that our wonderful day together started with Delicious Pairings from Starbucks and Walmart! Disclosure: I am a member of the Collective Bias® Social Fabric® Community. This shop has been compensated as part of a social shopper insights study for Collective Bias™. #cbias #SocialFabric. All thoughts are my own. Previous Post: « Think Outside the Blog – Weekly Blog Hop – Week 14! I always have to make sure I visit your blog with a full stomach, otherwise I’d go on rampage lookign to eat everything you write about. 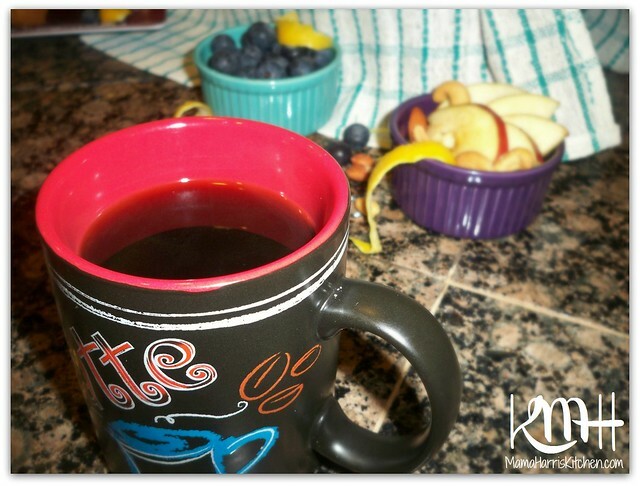 You did an awesome job of pairing the coffee with some yummy treat! Yum! Oh my gosh, that looks amazing! !